If you have never read any of Agnes Martin’s writings, it is possible that none of this will make sense to you. Martin’s voice contains an incredible amount of charisma. It’s the combination of eccentricity and conviction that makes her so loveable, in my experience. Her short essays, lineated so that they look suspiciously like poems, manage to be both didactic and deeply spiritual, punishing and idealistic — think Gertrude Stein’s bossiness and inclination towards repetition, Matsuo Basho’s haiku of the solitary traveler, crossed with the lyric pedagogy of Rilke’s Letters to a Young Poet. In short, reading these writings, it feels like Martin is talking to you. She positions herself as a teacher — and in fact, many of her writings were originally composed as lectures. Teare is certainly not alone in his obsession with Martin; since her exodus to New Mexico in the late ’60s, she has served as guide/guru/muse for many artists and writers. The mythography built up around Martin is understandable given her rejection of social life (not easy to do in the art world), her withholding of biographical information, her esoteric writings, and her highly singular style of painting (the grid) and working (constantly). In 2015, one year after the tenth anniversary of her death, Nancy Princenthal published a biography of Martin, and an extensive exhibition with a corresponding monograph opened at the Tate Modern. Both of these projects attempt to take on Martin somewhat comprehensively (for Princenthal, this includes an accounting of Martin’s struggles with mental illness). I’m sure I won’t shock anyone by noting that poetry, unlike mainstream publishing and the art economy at large, is not a particularly profit-driven market. That being so, how does Teare’s project both overlap with and veer off from the others? Who will read it, I wonder? Admirers of Agnes Martin who are not scared of poetry? Readers of poetry who regularly engage with the visual arts? You? lightens the weight of the square, it destroys its power. Teare stages the drama of his illness graphically in his poem “There is the work in our minds, the work in our hands, and the work as a result.” While the overall shape of the poem is a box (square or rectangle, hard to say), two discrete sections make up this shape. The first, identifying the “clinic a proscenium / I return to as audience / to watch my body” (8), resembles a right-angled r or sideways L, double-spaced and reaching into the corners. The performance of healing described in the first section is just that — an empty gesture. The second stanza, square and single-spaced, occupies the bottom-right corner. The setting is the poet’s bathroom, where, in another nod to Martin, the tiles are “blue square framed in white.” The thinking body moves from being a spectator to a producer of somatic knowledge: “the sharp pure urge to puke.” And yet, this knowledge yields no answers, only repetition and a growing disidentification with the body’s (il)logic: “my body fits to itself roughly / a blade chafing its sheath” (8). Again, we see the uneasy fit of one shape to another, unity achieved at the cost of a chafing rub. Most of the titles of these poems are single lines extracted from Martin’s writings; some of the others are names of paintings or drawings (where “name” is either “Untitled” or a list of dimensions and materials). 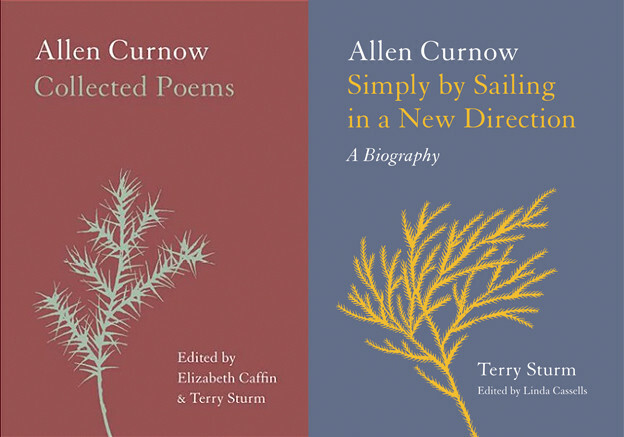 The titles hover above Teare’s poems, grey to the poem’s black ink, of a larger, thinner font, almost translucent. Their function is similar, suggesting loose relations, a conversation, starting points. Teare’s typography is utterly attentive to the page as compositional field — the design of the book, wider than standard, stretches the page into an almost square. The form of the poems endlessly deviates from, and yet always point back to, Martin’s “thinking couple,” so that the negative space is just as visible as the text. Teare investigates the field of composition from his very first poem — in a deictic gesture, he calls attention to “where my body first enters the picture” (3). Alluding to the juxtaposition between what is felt and what is seen, he invokes “the loom upon which materiality turns / pictorial.” Even within the more discursive “field of consciousness” (22), Teare is still aware of the visual field of his own poem: “the frame as white as the time / I spent under anesthesia.” The presence of the body as an interruption is depicted in the image of the “white hospital bed / before I get into it” (19). Here, the pristine surface, or “a really empty painting” transcends its two-dimensional state and “the picture fills up” (19). The intrusion of the body into the field speaks to the material traces or markings left behind by the painter/writer, but at the same time reveals the absence, or rather, the marked exclusion of, the body, in Martin’s writings. Illness shapes time: “illness keeps / a little calendar” (14), but we see that the poems also serve to give form to illness: “the grid’s a little calendar I put each minute into” (25). “I don’t experience pain as repetition” (31), Teare writes, and yet: “my body becomes / a repeated thought” (53). Learning to be with pain, Teare attempts to articulate in language that which is inexpressible, to work within a form that takes into account the rupture and repetition of illness: “I mean I’ve had to fashion a form that pains.” While repetition and seriality emerge as primary concerns in The Empty Form, creating another hinge with Martin, for Teare, adherence to a strict form appears to function more like an irritant than a salve. The three sections of the book punctuate a movement away from Martin and Western medicine and towards teachers and texts that are associated with Chinese medicine and Eastern spiritual practices. Teare traces out the development of his somatic knowledge in the transmission of the healing practice of acupuncture, a markedly different experience from visiting a public clinic: “each needle // the healer sets / in my flesh // is a fact / I feel” (29). Acupuncture needles, figured by forward and backwards slashes, are brought into the poems as borders, and the porousness of the body as well as the page is acknowledged. Because the influences and sources of Martin’s writings are so varied (and even, at times, contradictory), incorporating “a range of life-views, including Old Testament Calvinism, expressions of visionary Christianity, Platonism, transcendentalism, Vedanta, Zen Buddhism, and last but not least Taoism,” it is impossible to place her in an exclusively “Eastern” or “Western” philosophical framework. It may be that in his dealings with Martin, Teare, like the artist herself, conflates and bifurcates according to his own design. But to move from this stuck place, he must reconsider the split that he has come to believe in: his life before and after pain: “perhaps I was not yet conscious of it / the way a wire kept the rose upright in bloom” (43). In his closing poem, he undoes illness from its association of a fall/The Fall, redirecting his language away from a narrative of inevitable decline: “it took a long time to arrive at being ill / without falling” (72). The value of solitude, the rejection of society and companionship, is key to Martin’s path. The isolation of illness however, is not chosen. The unnamed illness that Teare deals with in this book removes even the comfort of diagnosis, and the community that could spring up around a shared illness or disability. And yet, Teare refuses to choose the stance that he feels Martin advocates in the poem title “People that look out with their backs to the world represent something that isn’t possible in this world.” Teare, conversely, maintains: “there’s nowhere the world doesn’t hold me here” (64). 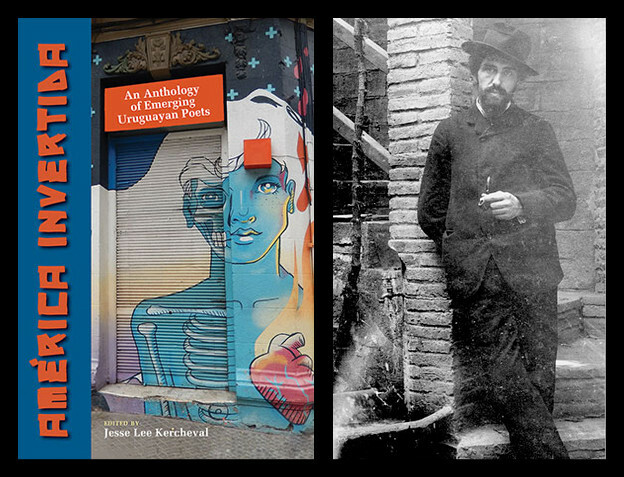 Just as his experience of illness can’t be processed without outside reference (clinics, symptoms), his work — that is, his poems — is likewise involved in the world, a striking departure from Martin’s doctrine of inspiration (the work arrives premade to the waiting artist). Teare, however, emphasizes inextricability and interdependence: “as though a body or lyric / doesn’t begin outside itself” (27). Teare’s wrestling with the lyric has been a conspicuous and conscious element of his work for some time. In his second book, Pleasure, where he pushes up against the limits of the elegy, he writes, in a poem titled “Dreamt Dead Eden” of “the lyric, which can’t keep anything / alive.” This struggle is in evidence here too, from the very first poem: “I insert a knot / between the warp and weft of the observed surface words / to stop the work of the lyric” (3). There is something about a too-shiny and too-neat object that Teare distrusts. The placement of Teare’s ear reveals a relationship between the artist and the art object that is tactile and dynamic. For Martin, the work is totally distinct from its maker; the intellect and the body are not to be sources for the work: “All human knowledge is useless in artwork.” Teare’s poetics emphasize proximity and interrelation. Here, artistic production is inseparable from the body’s sensations, and suffering, the “human knowledge” at the center of these poems, “means nothing at all” (60). 1. 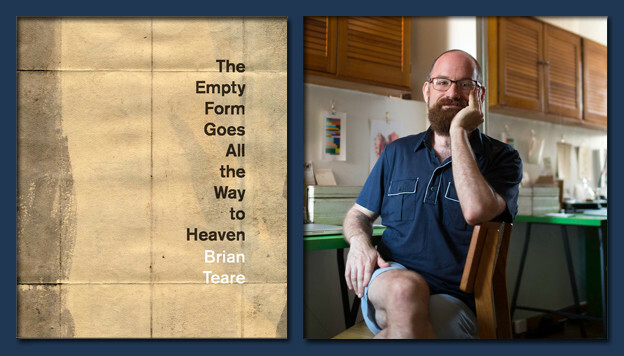 Brian Teare, The Empty Form Goes All the Way to Heaven: Reading Agnes Martin (Boise: Ahsahta Press, 2015), 69. 2. The most widely known collection, and the one to which I refer here: Agnes Martin, Writings/Schriften, ed. Dieter Schwartz (Ostfildern: Hatje Cantz, 1992). 3. “The Untroubled Mind” was composed via dictation. Jaquelynn Baas, “Agnes Martin: Reading for Writings,” in Agnes Martin, ed. Frances Morris and Tiffany Bell (New York: DAP, 2015), 225. 4. Nancy Princenthal, Agnes Martin: Her Life and Art (New York: Thames and Hudson, 2015). 5. The show is coming to LACMA in April 2016 and the Guggenheim in New York the following October. 7. Martin, “Untroubled Mind,” 41. 8. Bass, “Agnes Martin,” 224. 9. In his book Pleasure (Boise: Ahsahta Press, 2010), for example, Teare situates the loss of his partner to AIDS within the context of the AIDS epidemic. 10. Brian Teare, Pleasure, 7.